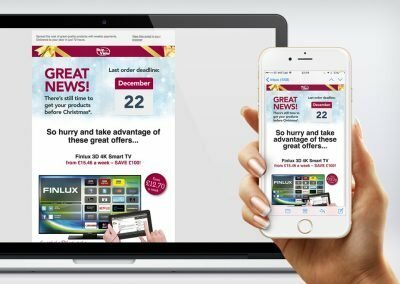 Responsive emails (that adapt depending on the size of your device) are a great way to reach your customers and let them know about news or offers. 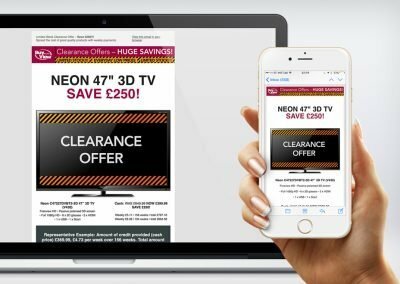 At Yellow Cat Design, we can design and build emails for you and then either show you how to manage them yourself or manage the sending for you. 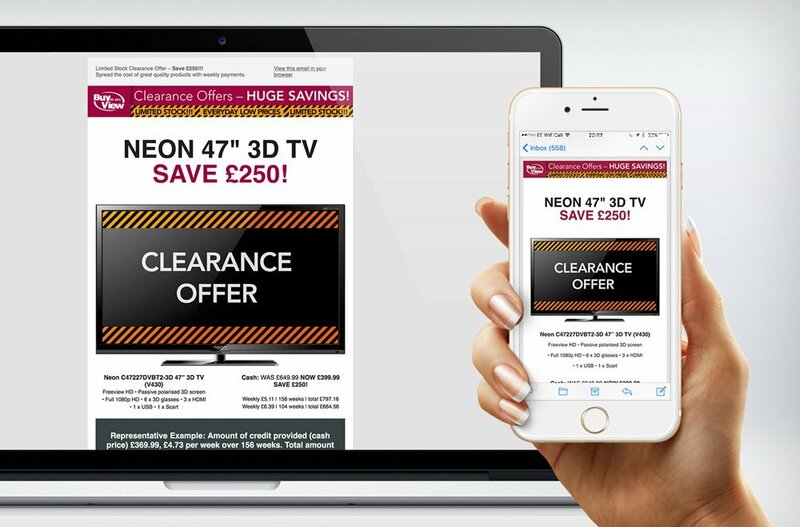 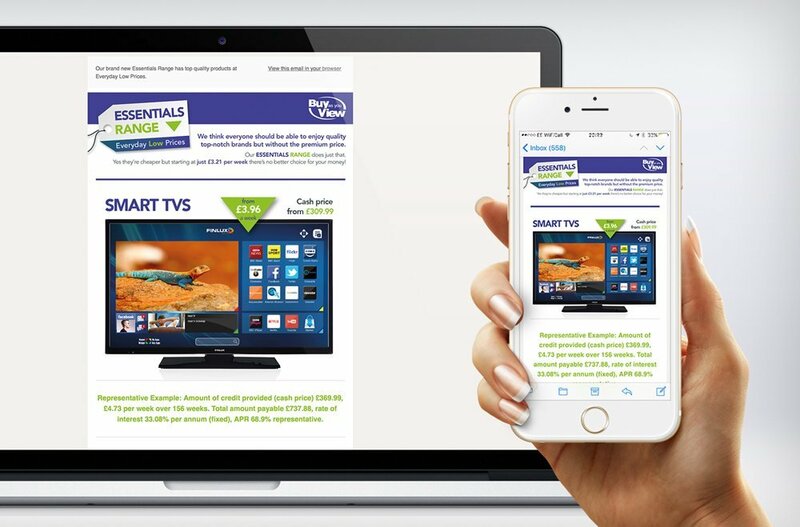 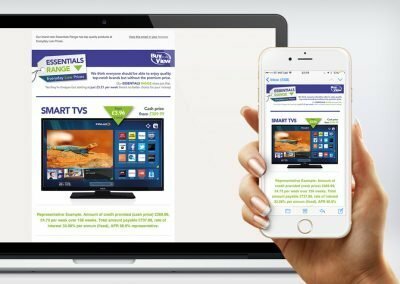 The examples below show a selection of responsive emails ranging from informative and transactional emails through to sales and offers for Buy As You View. 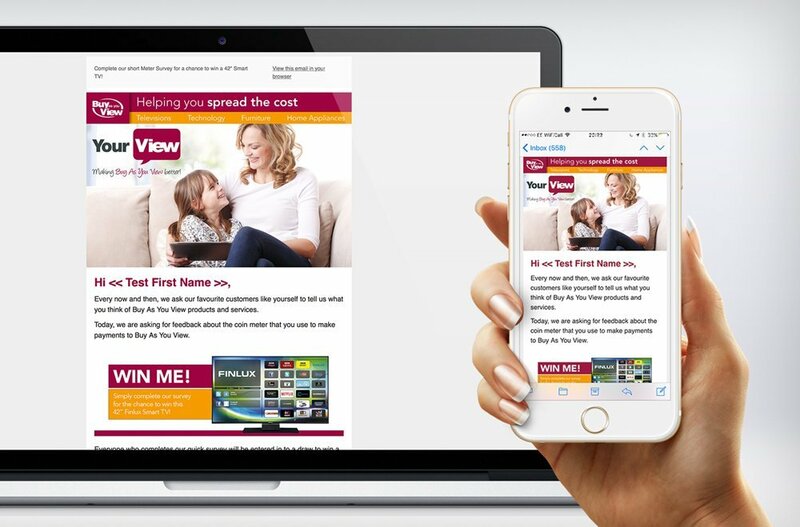 This included design work, writing copy, building, scheduling and sending. 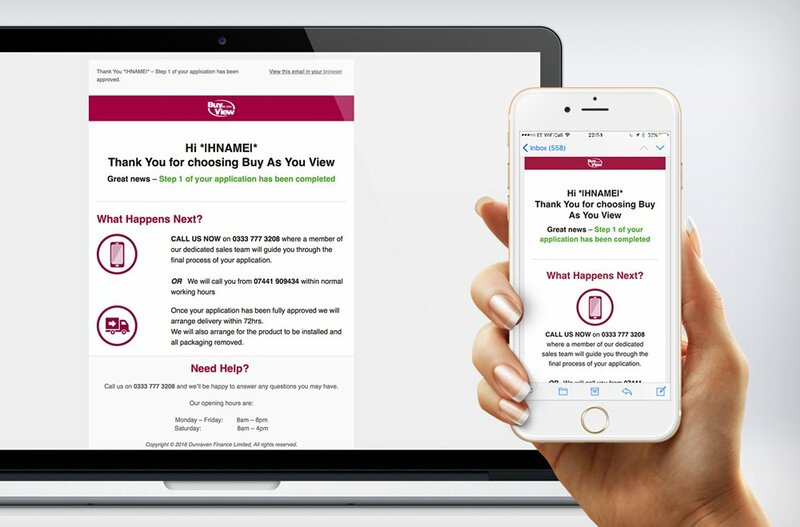 We can also use A/B testing on things like subject lines, from names and creatives to fine tune the campaigns to make sure they are as effective as they can be. 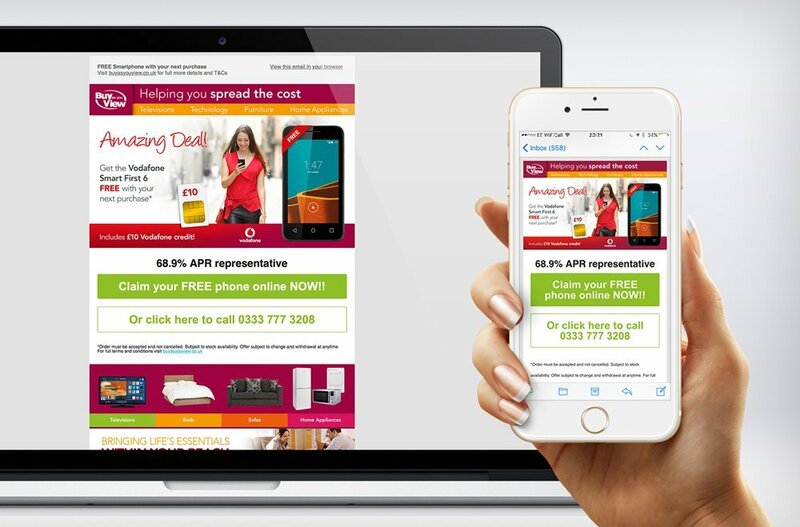 The two examples below show a responsive email template with various sections that can be removed or edited depending on the content. 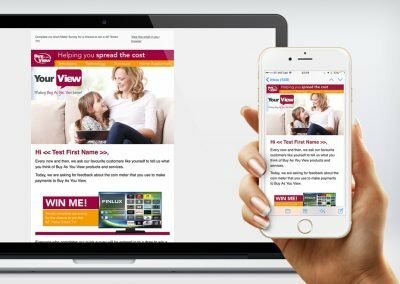 This approach is perfect if you want to manage email campaigns yourself as this master template allows you to create a range of different emails using the various elements. 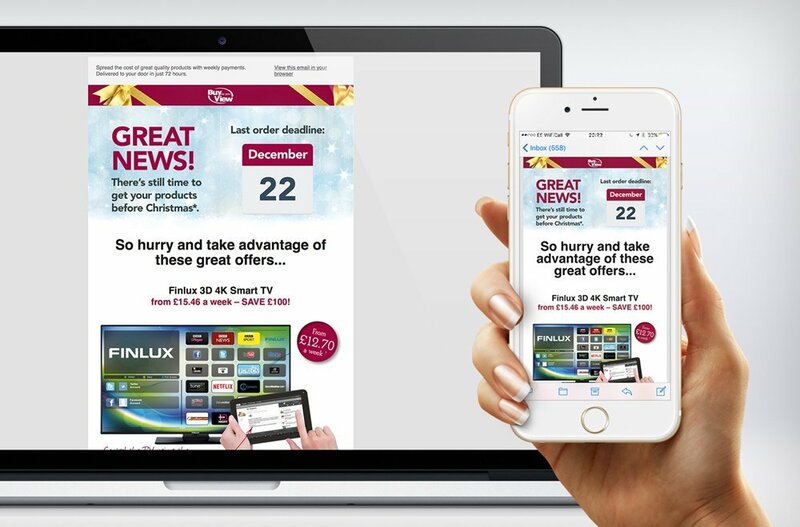 The gallery below shows further examples of one-off email designs.